How Long Should Your Chapter Be? Manuscript: A story that’s written but not published yet. Words: In regards to a book's length, this is the number of words per book. I’ve seen and heard this question asked many times. Heck, at the beginning of my writing journey, I had the same question. How long should my chapter be? One answer was given over and over: There isn’t one way to write a chapter, and your chapter should be as long or as short as your story needs it to be. How long are you aiming for your book to be? About how many chapters are you hoping for? Divide the total length, by the number of chapters. This will give you a good average amount of words each chapter should hover around. By the end of writing your book, each chapter should have relatively the same length. That doesn’t mean your chapters have to all be the exact same length, but if most of your chapters are 1500-2000 words, and then suddenly, there’s a chapter that’s 4000-5000 words, then there might be an issue with the longer chapter. Take a look at that chapter and see if you can break it up into two. That’s what I would do, but if you can’t, then have a fellow writer read your manuscript to give their opinion. Overall, be consistent! Pick up three books in a similar genre/category to the one you’re writing in. How many words are in three of their chapters? Aim for this as an average. Tell me in the comments, how long do your chapters tend to be? 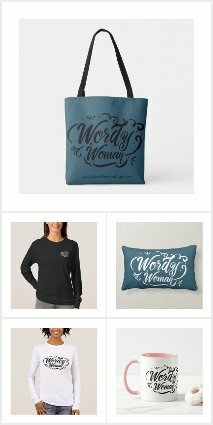 If you want more tips and ideas for your book, purchase A Wordy Woman's Guide for Writing a Book on Amazon! Spread the love with other aspiring authors and share this post.